Chris Mitchell, a myeloma patient from Bristol, is taking part in the Prudential Ride London event in July. Chris was diagnosed with myeloma in February 2010 at the age of 48. He had been feeling generally unwell and was experiencing backpain but put this down to recent renovation work on his house and a busy family life. The diagnosis came via a GP’s blood test which was flagged and sent to the haematology department (BHOC in Bristol) – the paraprotein levels were so high it was assumed that he was an in-patient, and so treatment had to begin immediately. Luckily, there was no organ damage; the myeloma had, however, collapsed a number of vertebrae, which took some time to heal and resulted in a two-inch loss in height! Chris was under the care of Consultant Jenny Bird and, following chemotherapy, was offered a reduced intensity tandem autologous/allogenetic procedure, using an unrelated donor. This was carried out under Professor David Marks in 2011 and, following a lengthy period of recovery, Chris was able to return to work full time. He is currently symptom free and although still receiving regular check-ups, is not on active treatment or medication. In 2015 Chris decided to take part in a sponsored cycle from Bristol to Paris for Above and Beyond, a charity supporting Bristol hospitals. 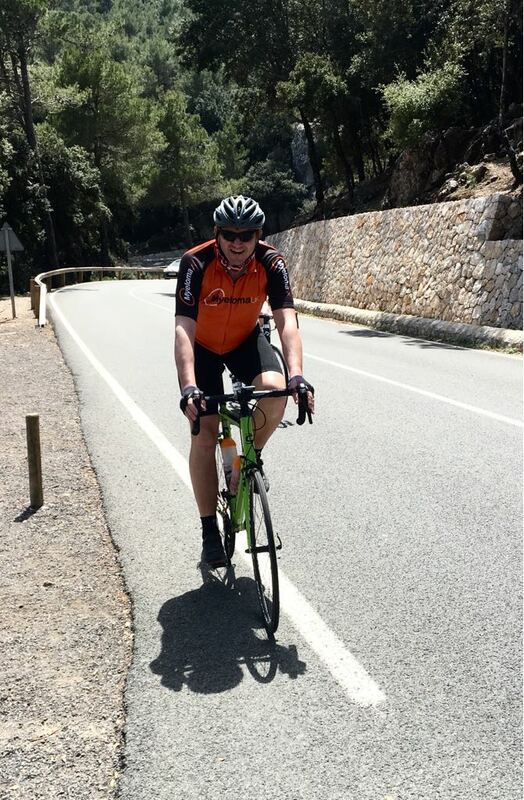 This introduction to cycling has developed into an active pastime and more importantly, the decision to fundraise for Myeloma UK by taking part in Ride London 100. If you are feeling inspired by Chris, visit our fundraising events page to find events happening near you and help make myeloma history.